It was fun taking photos of the random things in pink while traveling. Pink is just a lovely color that both my daughter and I like, which I bet, my baby daughter will like too. To spread some pink prettiness, here are some photos that I wish to share with you. Magnum PINK in nar (pomegranate in Turkish) flavor. I know, there's nothing like that here in PH right? Hmm.. wait until I blog about more Magnum flavors available in Turkey. 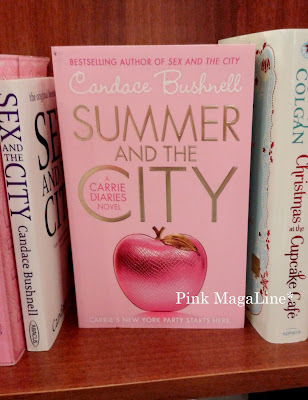 Summer And The City: A Carrie Diaries Novel by Candace Bushnell. So lovely book cover with that pink leather apple. Also a must-read for fashionistas I guess. 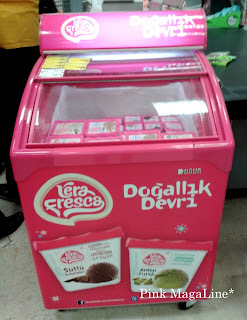 Pink ice cream freezer. This attracts both the kids and kids at heart. Come closer and get some pink sweetness in this box of cold. 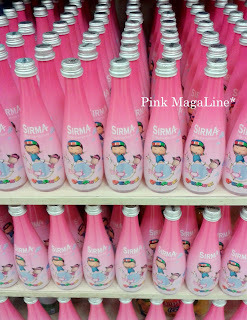 Pink Sirma Pepee bottled water. This is also available in blue. Yeah, nothing but water. I guess whoever is a fan of Pepee, a children's cartoon show, buys it. Lastly, my goofy daughter while waiting for our flight back to Manila at the Atatürk International Airport. Her pink outfit is from LCWaikiki, her pink sneakers from Disney Princess, and pink luggage from Sky Travel. Cheers to you pink lovers!! so cute! I <3 Pink too! I Can Never Get Enough Shoes!